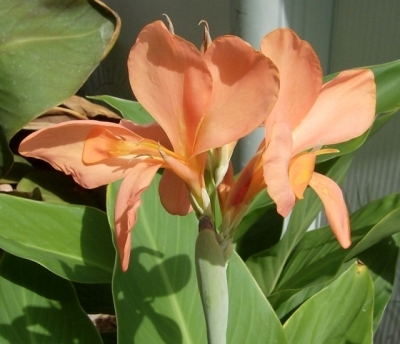 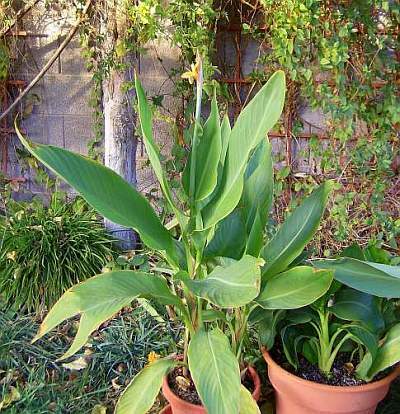 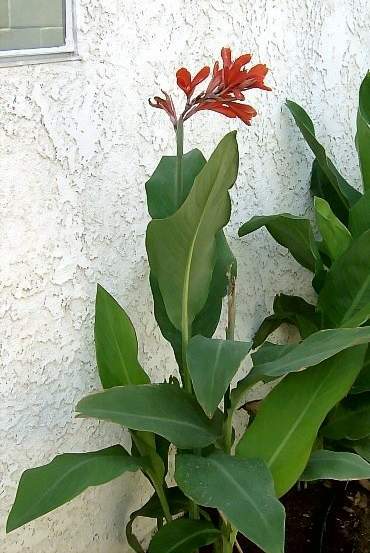 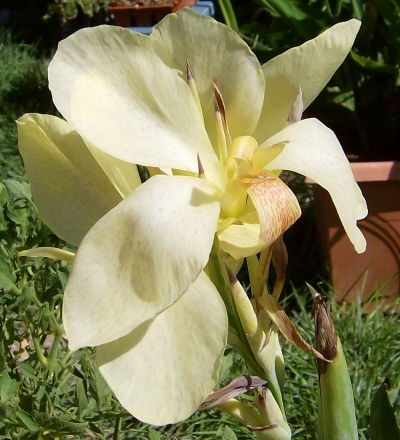 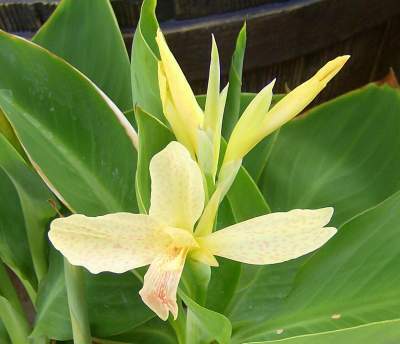 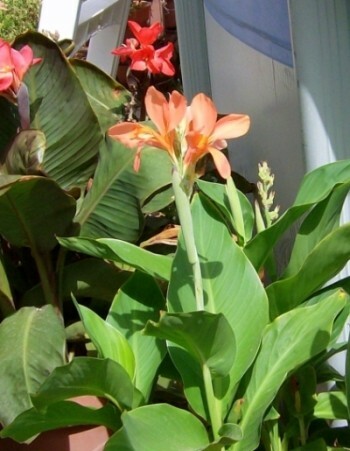 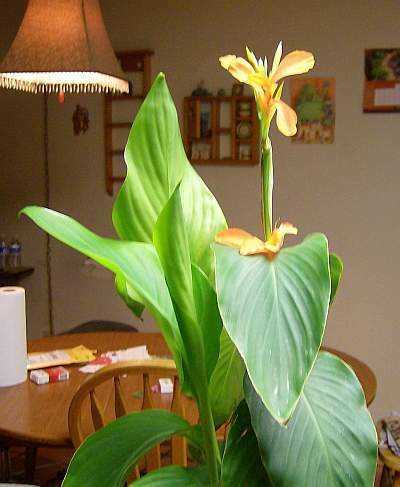 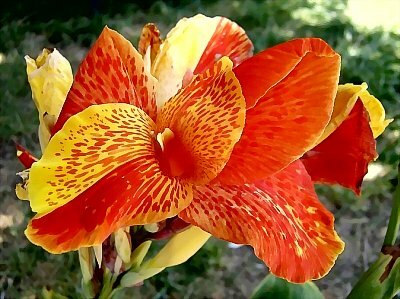 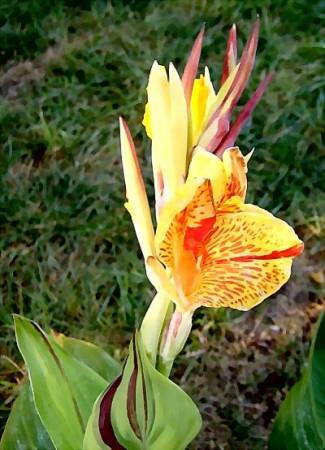 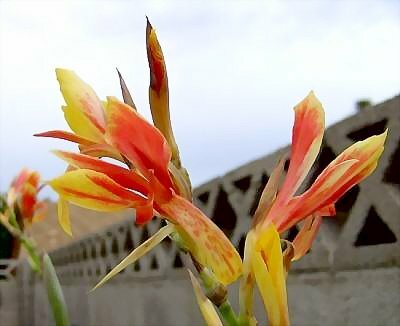 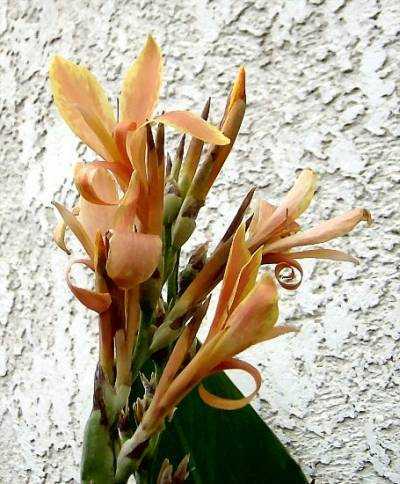 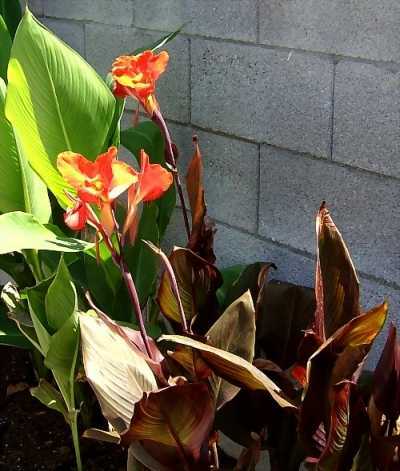 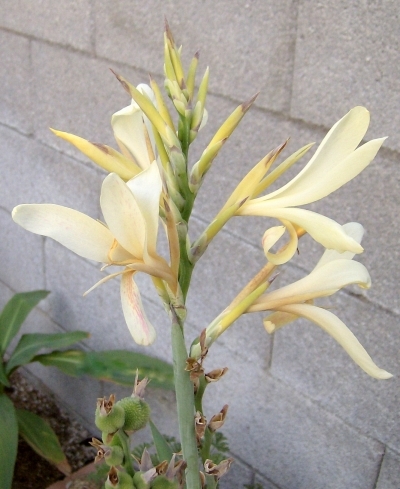 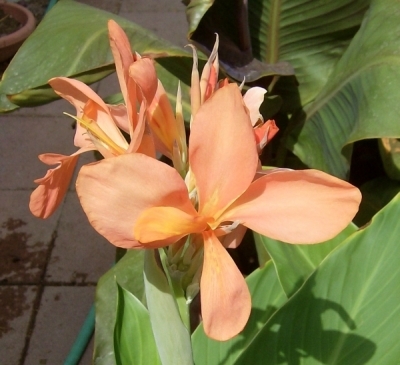 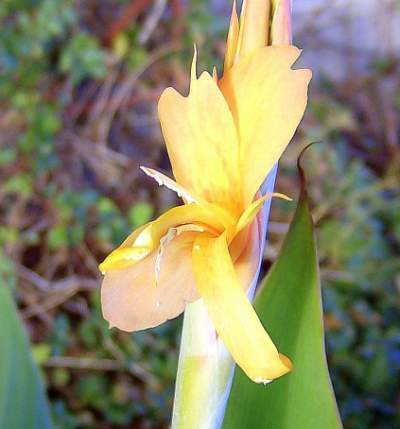 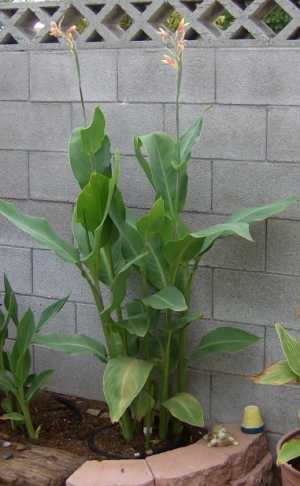 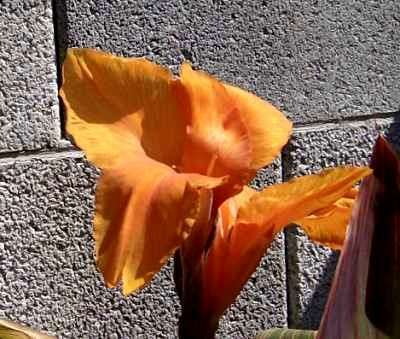 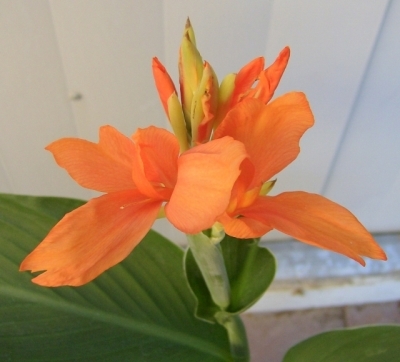 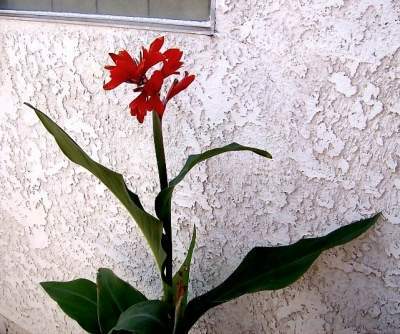 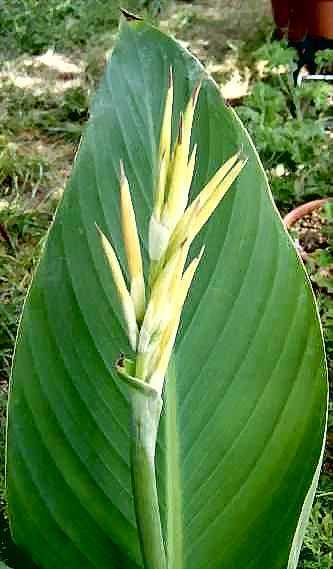 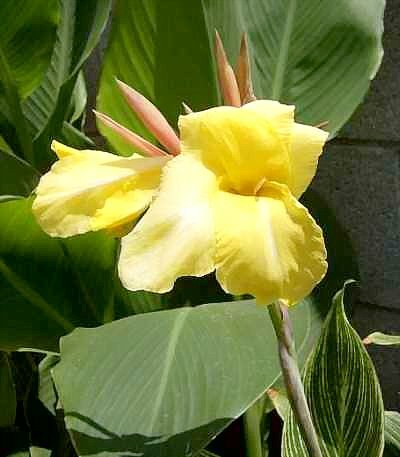 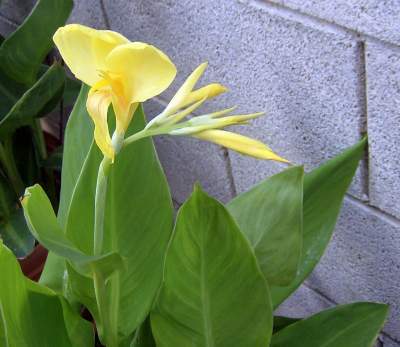 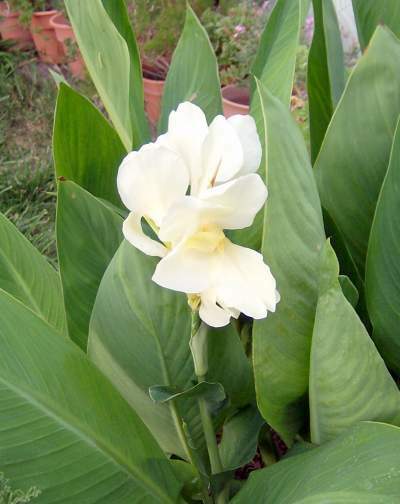 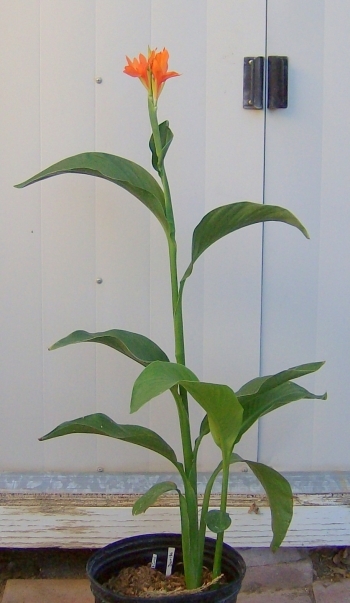 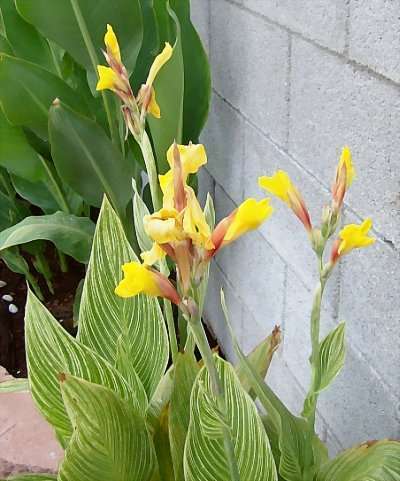 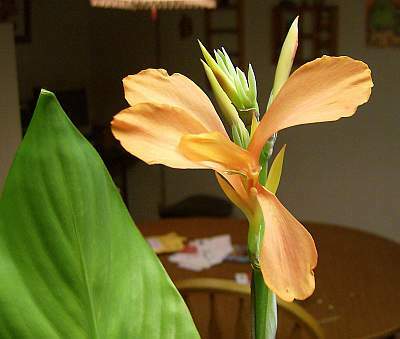 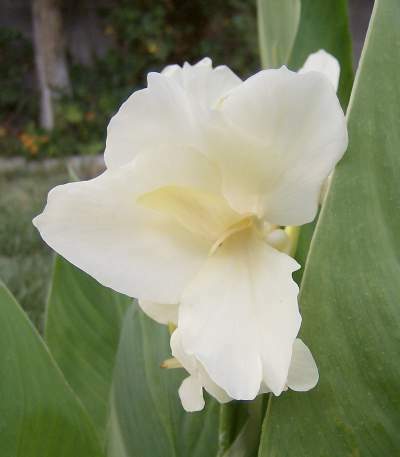 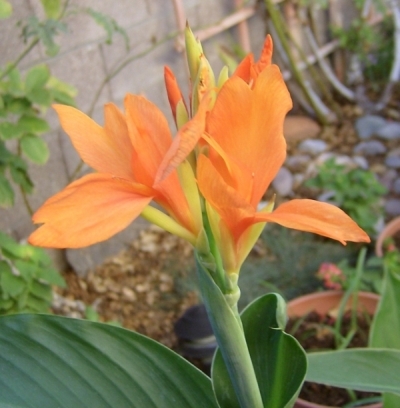 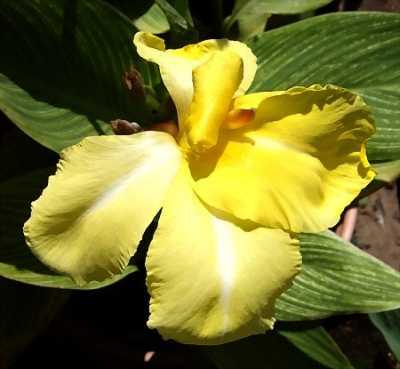 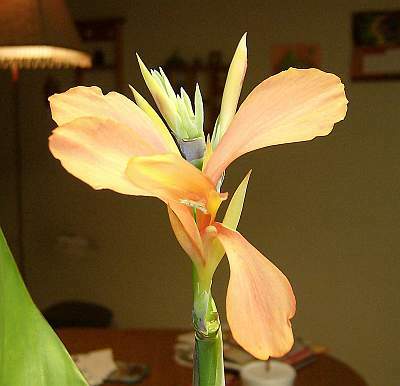 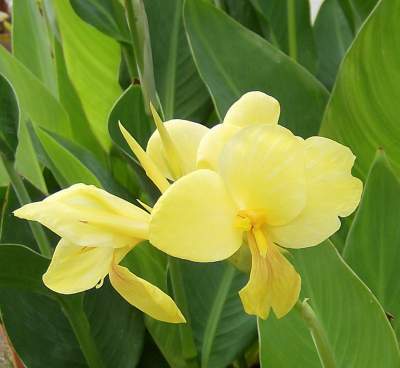 Canna 'Bangkok' has the brightest yellow buds. 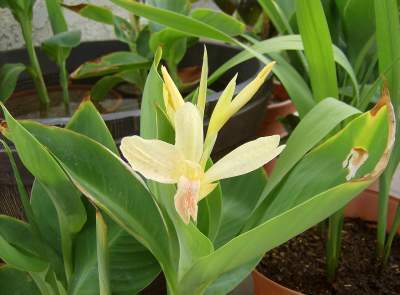 C. 'Bangkok' is a treat for the eyes: green and white striped foliage, sunny yellow flowers, and red buds. 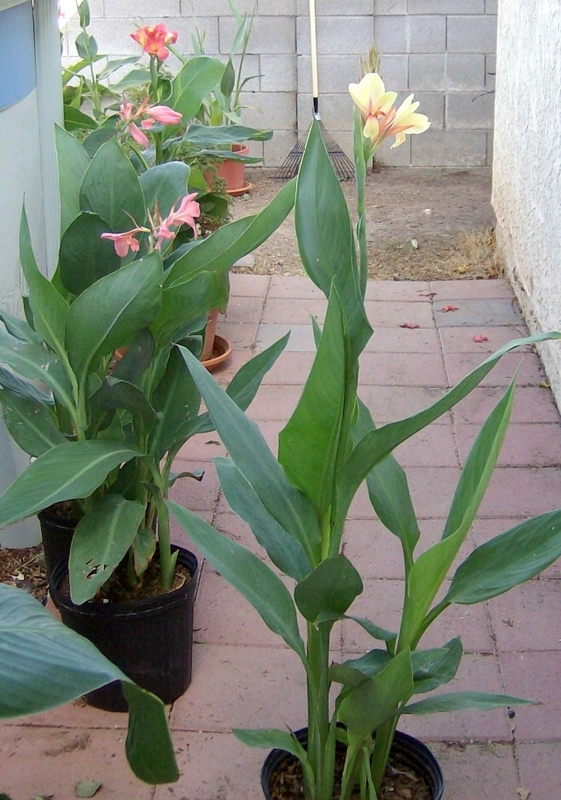 It is short, so this year I am growing it in a pot. 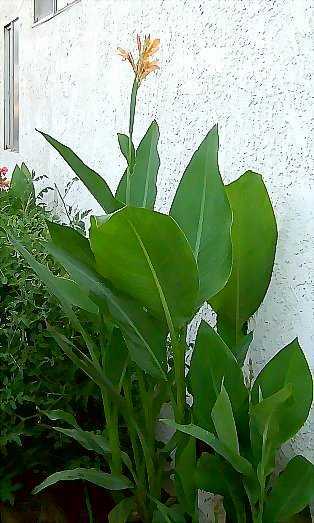 The foliage alone is very decorative. 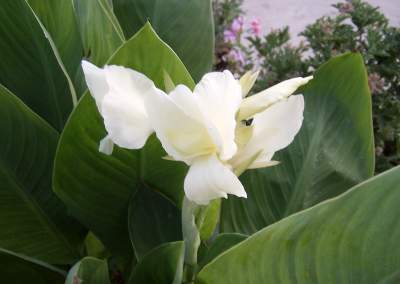 Bangkok's flowers have a white stripe down the center of the petal. 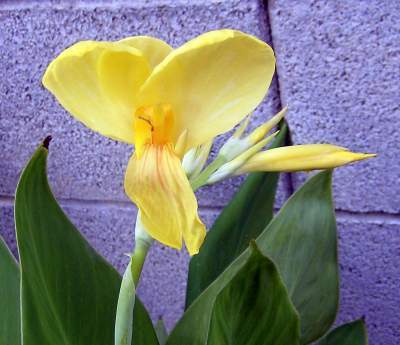 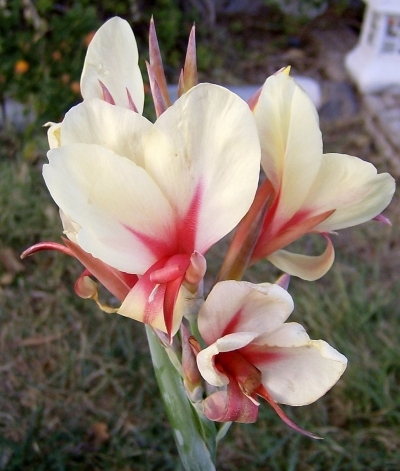 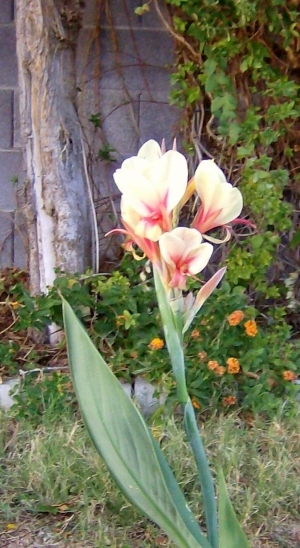 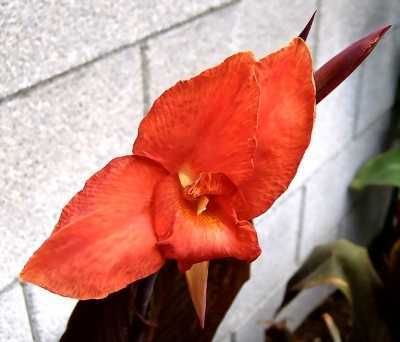 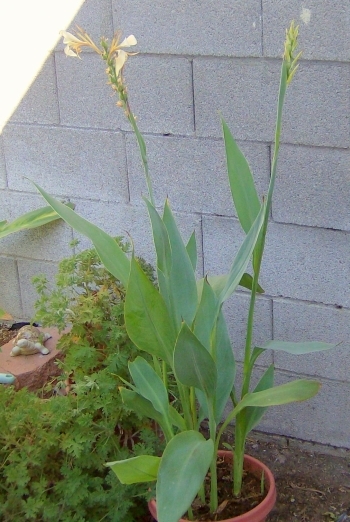 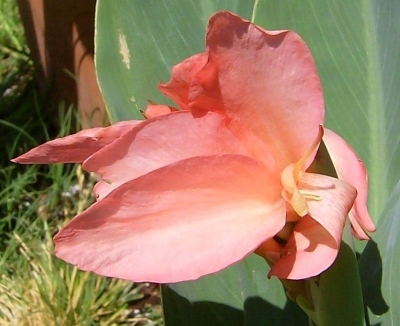 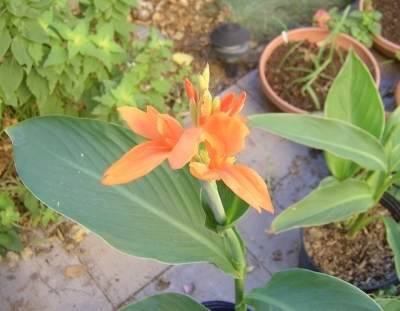 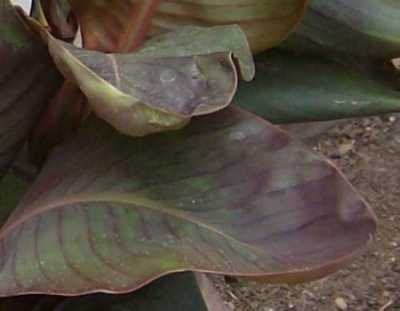 C. 'Tama Tulipa' has small yellow and red flowers.